Generally, people want their smartphones to continue getting slimmer as time and technology progress. When smartphones undergo design changes, so too must the camera components in the devices – like the aperture, for instance. Cameras traditionally use mechanical blades to move the aperture, but a new technology utilizing chemicals could help facilitate smaller smartphone cameras, which, in turn, helps to keep phones smaller. Researchers at Germany’s University of Kaiserslautern have designed a “micro iris” that uses chemical rings to actuate a smartphone camera’s aperture. These rings, made of an electrochromic polymer called PEDOT (known as Poly 3,4-ethylenedioxythiophene), would allow phones to have considerably smaller aperture components in the future. According to these researchers, we’re reaching the physical limit of what overlapping aperture blades can do for our cameras. The design of this new tech proposes using a collection of translucent, chemical rings between two pieces of glass. The PEDOT material in the rings turns opaque when voltage is applied to them, which blocks any incoming light – theoretically – just like traditional mechanical blades would. Once voltage is removed, the rings become translucent again, allowing light into the aperture. By far the smallest camera component ever, the micro iris will measure a mere 55 micrometers, and it will consume very little battery power. Also, the aperture created with this tech will be perfectly circular, which will likely create images that are more aesthetically pleasing to smartphone photographers. Although this chemical aperture technology sounds, well, downright awesome, researcher and lead subject author Tobias Deutschmann stated that, as of now, PEDOT doesn’t have the right opaqueness to suit the needs of the micro iris. “The potential of the iris in its current state is mostly restricted by the insufficient absorption contrast and relatively long switching time of the commercially available PEDOT material,” Deutschmann said. 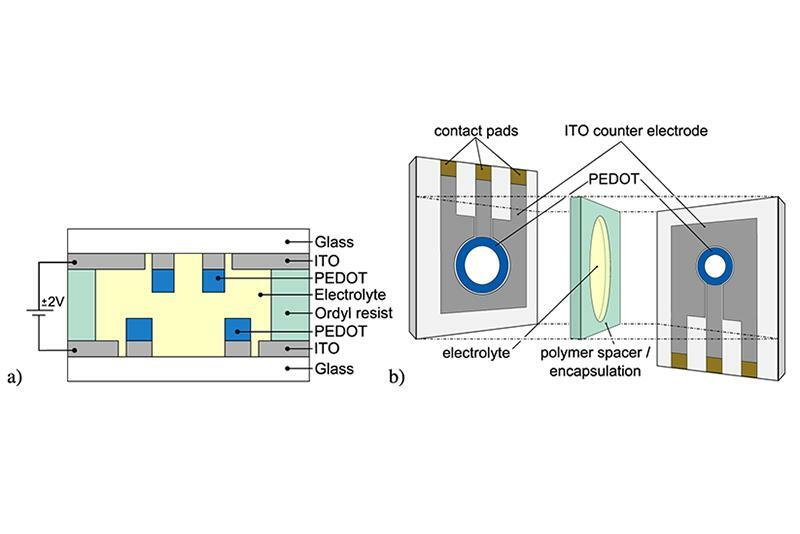 “The synthesis of optimized [electrochromic] materials is under rapid development.” Progress of this tech will certainly be interesting to follow.